8 male and 6 female teams participated in this year's edition of the championship, coming from France, Germany, Ireland, Portugal, Spain and United Kingdom and representing 11 Universities. 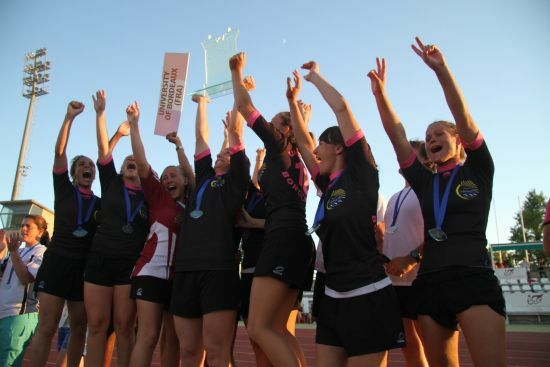 In women finals, the title of champions went to the University of Bordeaux (France) who beat in the final match University of A Coruna (Spain) by 10-7. 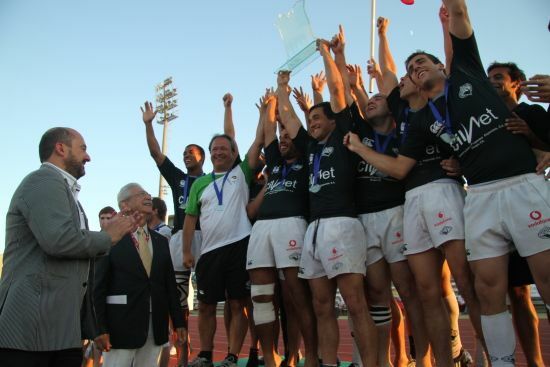 In men finals, the title of champion went to the University of Coimbra (Portugal) who won a thrilling final match against the University of Montpellier (France) by 7-0. Medals and awards were presented by Mr. Dinos Pavlou, EUSA Executive Committee Representative, and Prof. Manuel Torres Aguilar, Vicerector of the University of Cordoba and Chairman of the Organising Committee. The EUSA flag was passed to Mr. Alain Flavigny, Chairman of next year’s EUC Rugby 7s Organising Committee, to be held in Lille, France end of June 2011. More info can be found at www.eusarugby2010.com.